We´d like to thank everybody whose donations and support made this event possible: The artists, the buyers and donators, SEED Art-Laboratory Hiroshima, Fujiya Company Hiroshima、Blueberry English school and all volunteer helpers before and during the event !!! Fundraising opening- party for the victims of the 2011 Tsunami catastrophe. All proceeds will be donated. 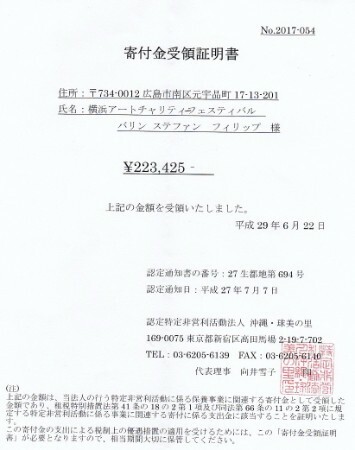 Cover charge 1000Yen (=donation). German food, beer, wine, softdrinks !!! 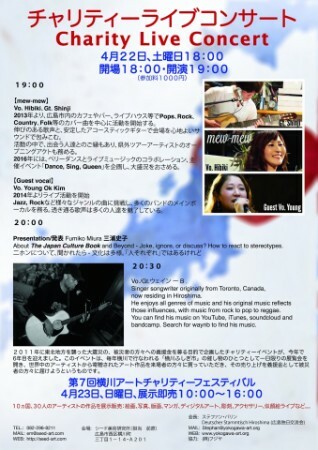 Singer songwriter originally from Toronto, Canada, now residing in Hiroshima. 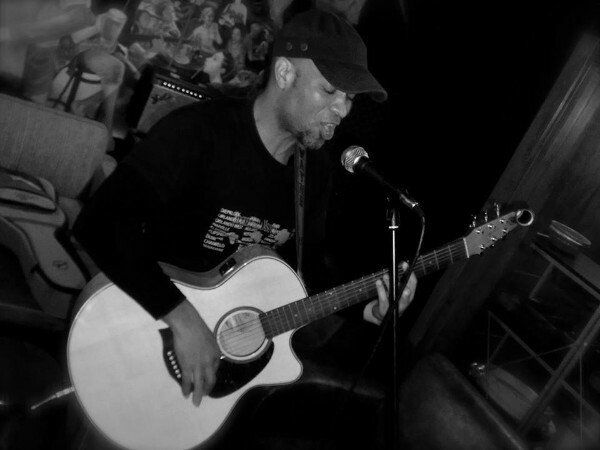 He enjoys all genres of music and his original music reflects those influences, with music from rock to pop to reggae. You can find his music on YouTube, iTunes, soundcloud and bandcamp. Search for waynb to find his music. 100% of the party proceeds will be donated !!! You will also of course have a chance to buy the exhibited artworks for the good cause. The main event will be the following day, Sunday, April 23rd from 10:00 to 16:00, as part of the Yokogawa Fushigiichi-festivals. With friendly support of Fujiya company Hiroshima. 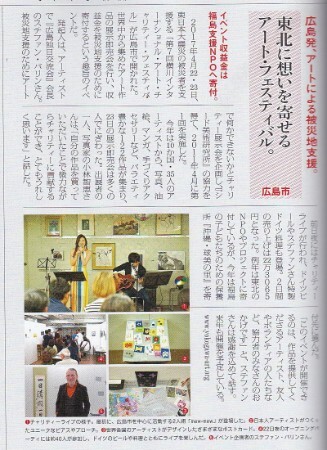 Fundraising exhibition and sales for the victims of the 2011 Tsunami catastrophe. 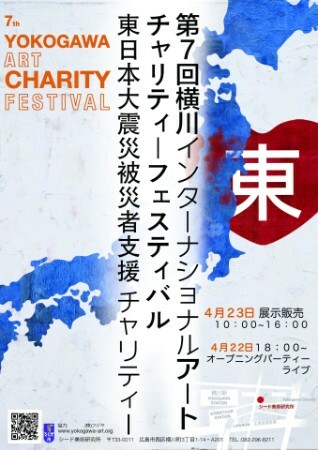 LIVE-Portraits, Photography, Paintings, Sculptures, Drawings, Accessories, postcards,…..
Charity – Art – Exhibition and sales from 10:00 to 16:00 as part of the Fushigi-ichi festival´s around Yokogawa station on Sunday, April 23rd. The donated artworks will be exhibited and sold and 100% of the proceeds will be donated. Please come, see and buy/donate !! And please bring your friends and family along. The surrounding matsuri is also worth going, with the Cosplay-Parade, 5 Live stages, food and drinks. 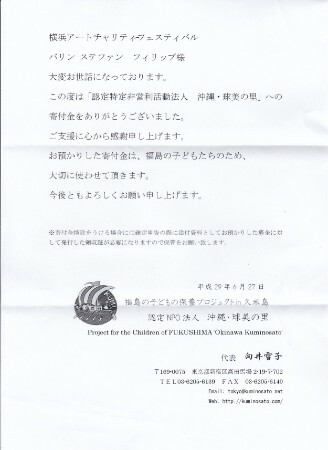 Purpose: Fundraising for the victims in the affected areas of the 3/11/2011 earthquake and tsunami catastrophe in Japan. Any kind of artwork, design or crafted items will be accepted. Artwork delivery is usually by post (please keep in mind the shipping times from your country to Japan) or FREE digital upload and FREE printout (up to size A3). In case you don´t deliver personally to SEED, you must pay the delivery costs on your own expenses. (Upload information will follow after receiving your application). Smaller digital works, e.g. postcards, can also be multiplied and printed in 10 or 20 prints. The artist decides the selling price. If there´s not such an information the organisers will do. Please include basic information like: name, nationality, no. of works, material, selling price. In case of digital works please state, if we can sell more than one copy and if, up to how many. By taking taking part the artist agrees to donate his/her artwork for sale on the event or afterwards (sales price will be fully donated), and also gives the permission to use the artists name and pictures of the artwork on this website and social network websites like Facebook for promotion and information of the event. Informations about past events you can find on this website.